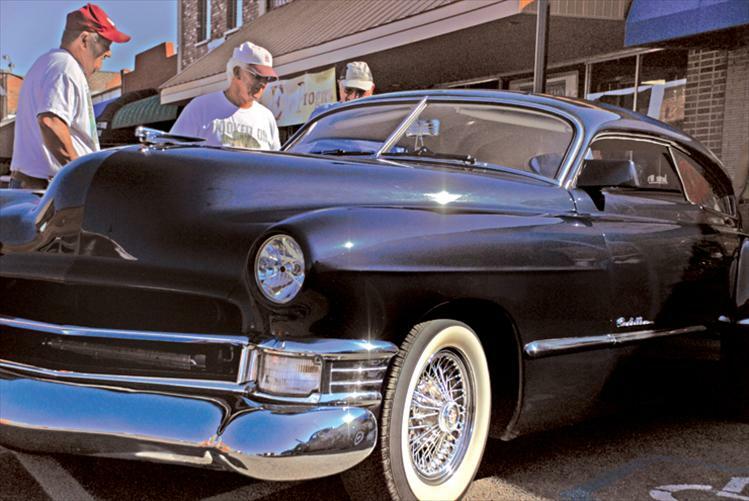 A 1948 Cadillac owned by Gary and Cathy Gatelli, Butte, drew curious spectators Saturday on Main Street. 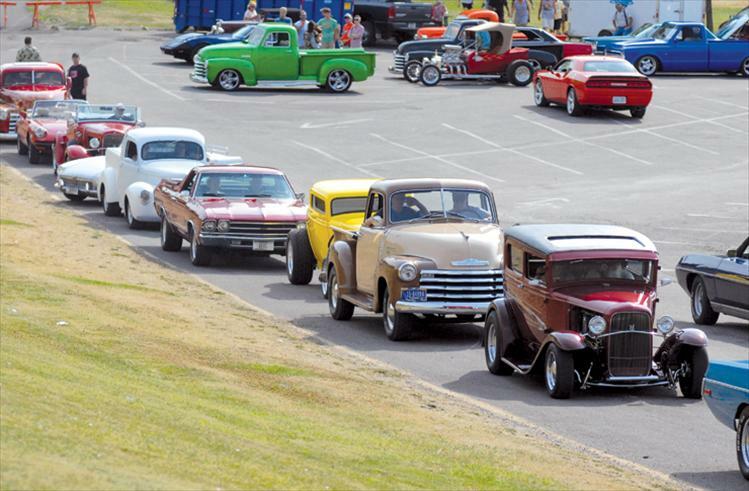 Classic cars line the parking lot at Riverside Park in Polson as drivers wait to cruise Rocky Point Road and Jette Hill. 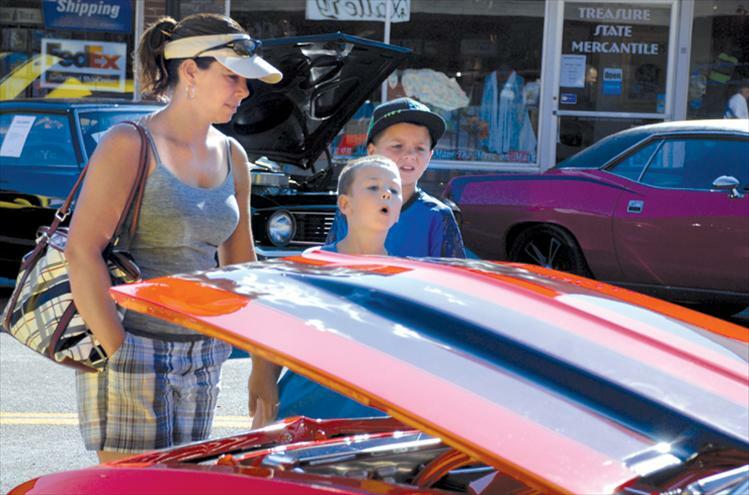 Niki, left, Cason and Colton Graham look at the flames painted on a shiny car at the Cruisen’ by the Bay car show. 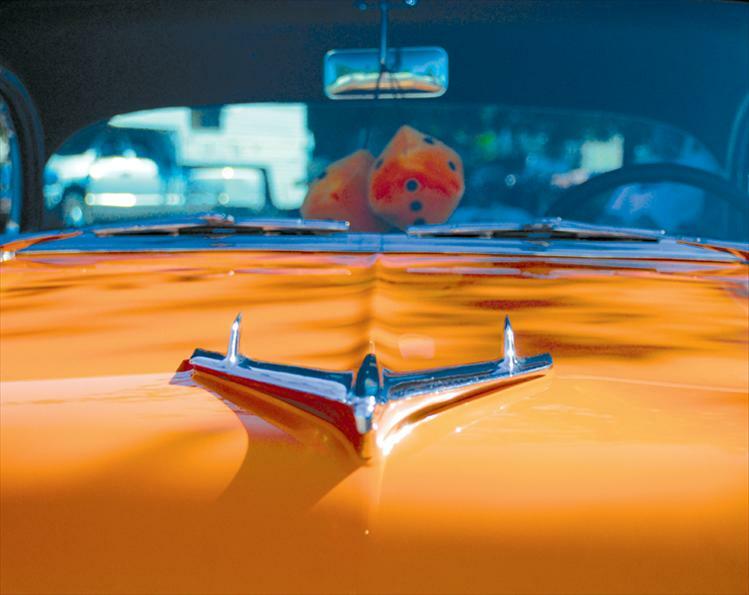 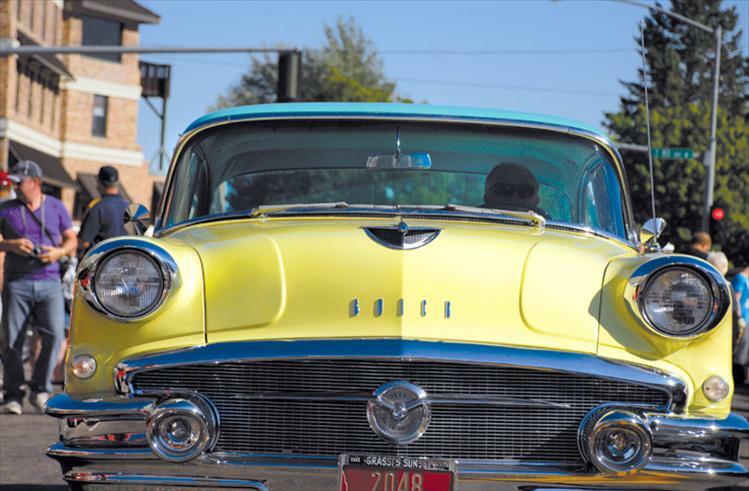 The hood ornament on Tim Arneson’s ‘55 chevy shines in the sun. 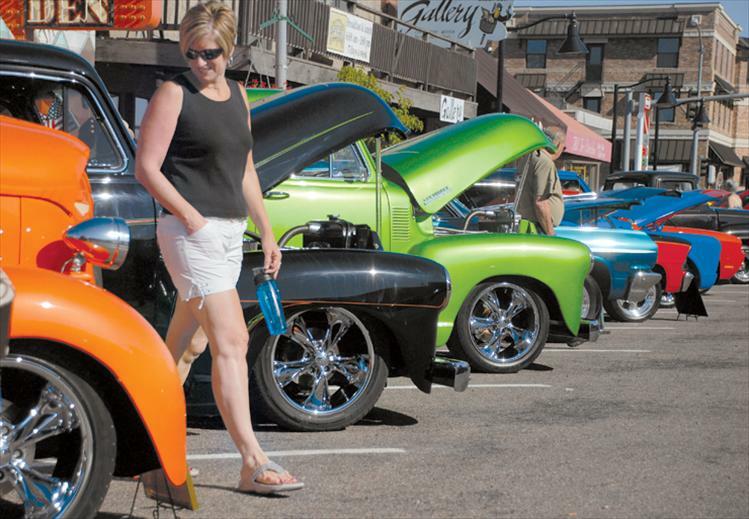 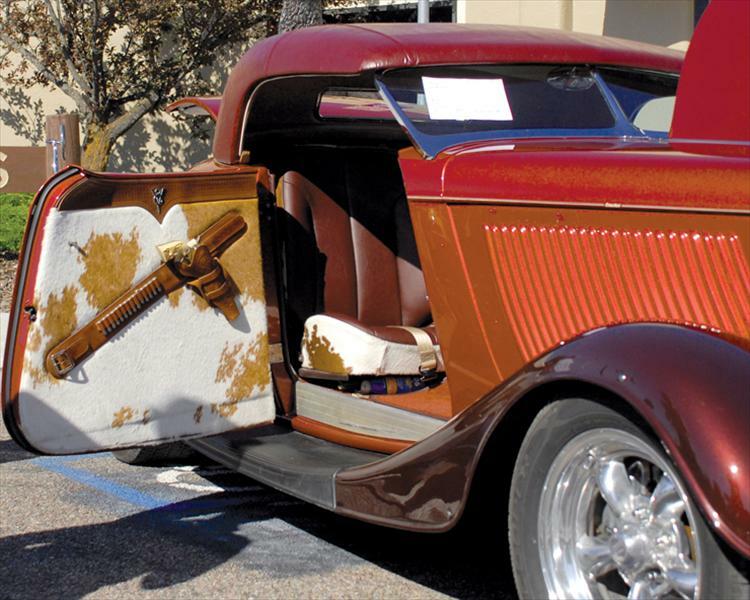 The Valley Cruisers’ Cruisen By The Bay annual car show drew more than 1,000 participants and spectators to Polson. 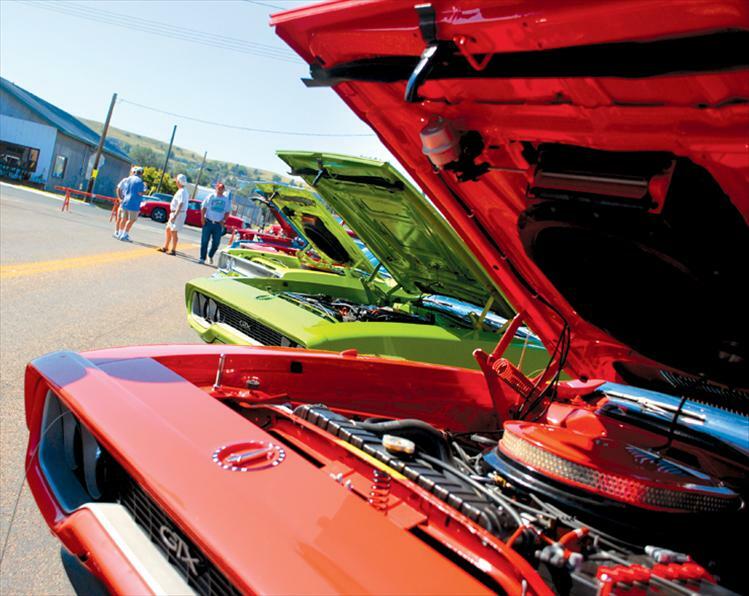 This row of Plymouth GTXs and Roadrunners was a magnet for fans of the cars . 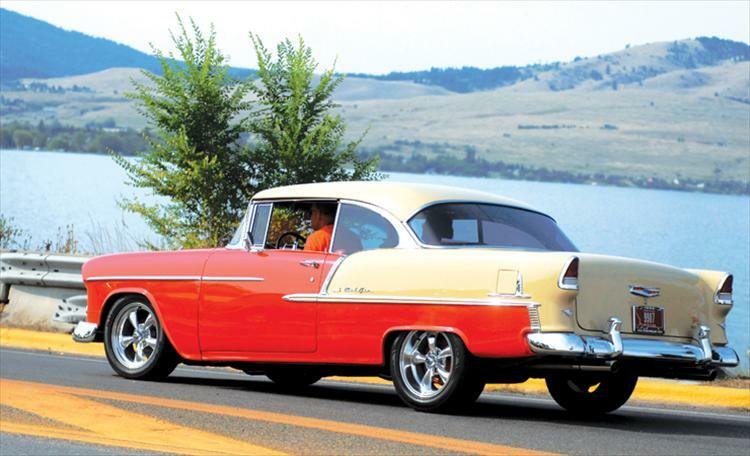 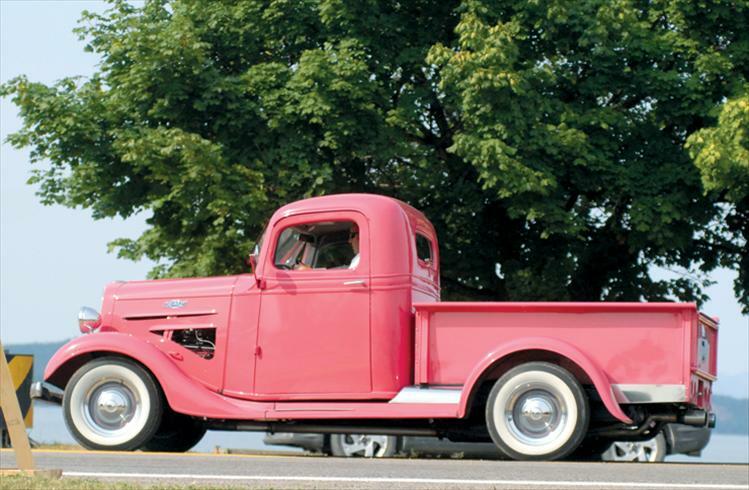 In their ‘55 Chevy, Tim and Sue Arneson drive across the Armed Forces Memorial Bridge during the cruise on Aug. 10. 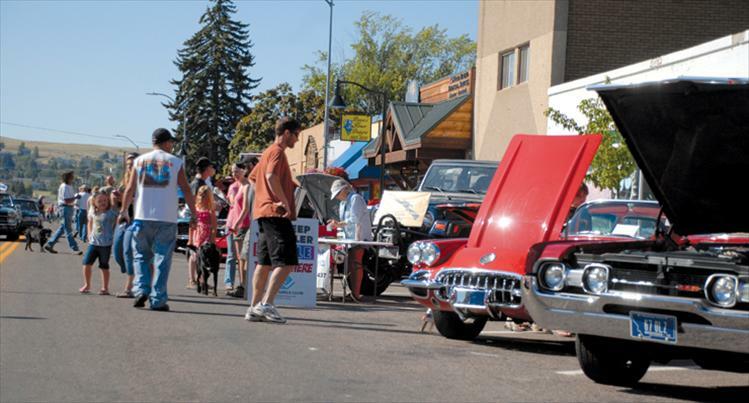 All the hues of a garden salad line Main Street Saturday as colorful classic cars find plenty of parking spots in Polson.